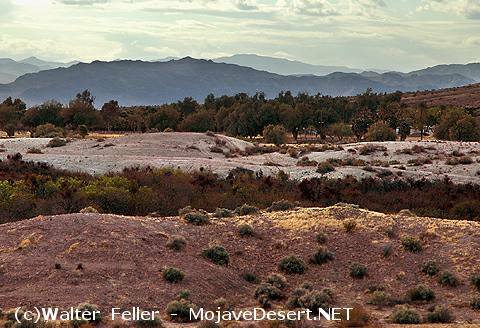 Located five miles east of present Tecopa, San Bernardino County, this desert outpost was intermittently occupied during 1859-60 by regular troops to protect a precious waterhole on the Old Spanish Trail between Las Vegas and the Mojave River. It was the site of an Indian massacre in 1844, avenged by Kit Carson and Alexander Godey of Fremont's expedition. A Mormon mail train was attacked here in 1854. There are still evidences of a stone redoubt and a corral at the site.